Restaurants in Glasgow have been updating traditional Scottish dishes and giving them a modern twist. Offering the best in Scottish fare, you can also sample the vast array of rich produce the Scottish countryside provides. Cail Bruich is located in the West End of Glasgow and offers modern Scottish food created using fresh and seasonal British produce. The suppliers – including Loch Fyne Sea Farms and St Brides Farm – are proudly listed on the Cail Bruich website,, so you know exactly where the food on your plate comes from. Due to their faithfulness to the best fresh produce, the dishes on the menu evolve with the changing seasons and supplies. You can expect dishes such as west coast scallops and wonderful taste combinations such as lamb saddle with goat curd, plus rabbit with asparagus or flame grilled mackerel with gooseberry. You can also pair this high quality Scottish food with Scottish spirits and craft ales to add to your dining experience. If you want to eat out for a decadent special occasion, veteran chef Brian Maule at Chardon d’Or won’t disappoint with every detail thought of and perfected – from precise white tablecloths to the exquisitely presented food. There is a special mouth-watering celebration menu which includes seared peppered tuna loin, pickled mouli, chilli, sesame, tomato vinaigrette and loin of scotch lamb, truffled polenta and aubergine caviar. They also do a special graduation menu for students graduating from the University of Glasgow wanting to celebrate with their family. This menu includes pot roast scotch beef, wild mushrooms and red wine jus and can be finished with a selection of homemade ice cream and sorbet for dessert. 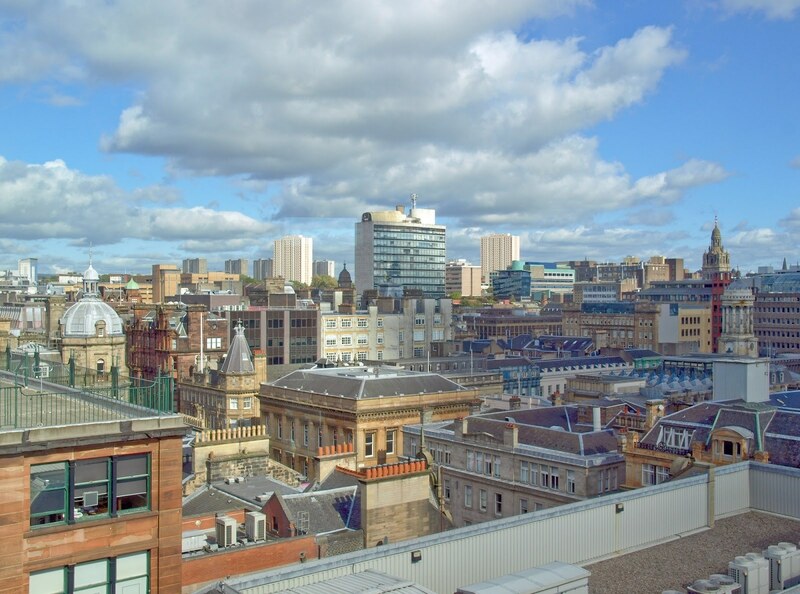 Glasgow is a mecca of food from all over the world, ranging from Indian to Japanese and Italian. For this reason it can be difficult to decide where to eat as a family. It is common to have different preferences in a family group – the kids might have their hearts set on pizza and ice cream (again), while you may prefer to to stick to a healthy diet with sushi and salad, or a traditional roast dinner at the weekend. Thankfully, COSMO Glasgow comes to the rescue with an all you can eat buffet menu featuring over 160 dishes from all over the world. Chinese, Indian, Thai, Japanese or a carvery, it’s all on offer here, so no one in the family has to compromise. The family can also be entertained while they eat at the live cooking stations as the highly trained teppanyaki chefs prepare salmon, scallops, steak, chicken or tiger prawns with noodles and vegetables on an authentic ‘teppan’. Children will be in awe-struck by the rising flames – a sight they won’t forget! Any children in the group will also be kept happy with bottomless soft drinks and there is a selection of tea, coffee, wine, beer and cocktails for the adults. Diners at COSMO Glasgow certainly agree that COSMO Glasgow is something extra special with the restaurant receiving a TripAdvisor Certificate of Excellence 2018 for so many excellent reviews, so it’s a safe bet for a family meal. The Gannet is perfect for foodies looking for high quality food without the eye watering price tag you might find in other cities. Chefs Ivan Stein and Peter McKenna have deserved their place in the Michelin Guide. In fact, Conde Nast Gold List 2018 named the venue amongst the best restaurants in the world! The interior is stripped right back with a New York, Brooklyn-style look featuring exposed bare pipes and lightbulbs, a metal staircase and contemporary art hanging on exposed brick walls – less is more here. The wine list is world class and guests can try extra special wine by the glass via an ingenious system that extracts the wine from the bottle without opening it! Alla-Turca won ‘Best Kebab in Scotland’ at the British Kebab Awards in 2017, so you know that this is the place to come if you are craving some authentic Turkish food. In fact, the judges called it a ‘shining example’ of the British food scene – praise indeed! The food is worthy of booking a table alone, yet people also come to this restaurant for the warm, magical atmosphere. The tasting menu includes barbecued swordfish, hand dived Shetland scallops and creamy roast chestnut and mushroom casserole. The desserts are all homemade and offer the usual sweet sticky honey delicacies along with desserts such as peppermint and vanilla panna cotta with fresh berries. Reviews online rave about this friendly family run restaurant and critics say the food and atmosphere is so authentic that they feel like they are actually in Istanbul!